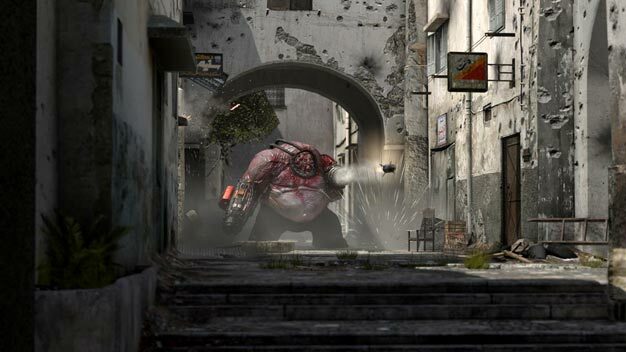 If Bulletstorm and Duke Nukem Forever don’t satisfy your thirst for over the top, ballsy shooters this year, then Serious Sam 3: BFE should do the trick. Sam 3 serves as a prequel to the first game (which you can pick up on XBLA, along with the sequel). You’re pitted against a horde of enemy mercenaries and monsters, armed with a boat-load of ammo and the guns to match. New melee moves make it in this time, and we imagine them to pretty a whole lot like Killzone 3‘s brutal kills. The campaign can be played with up to a staggering 16-players, and there’s a bunch of multiplayer modes to boot. We’ve got some awesome new snaps of the game for you to check out in the gallery. Look for this one to hit PC and consoles in summer.